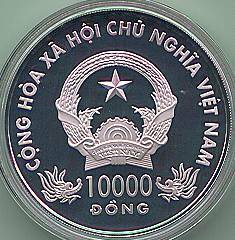 This large silver coin could be a riddle even for Chinese readers. 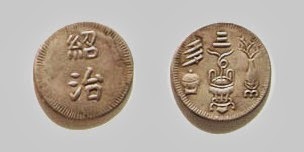 The reverse is similar to traditional Chinese coins – the name of the ruling Emperor, here “明命” (Míng Mìng in mandarin) and the characters 通寶 (coin of the realm). 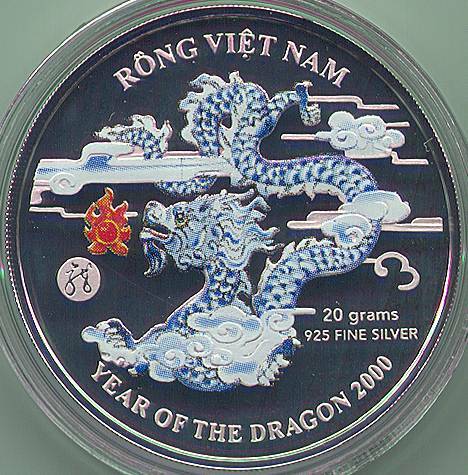 The obverse depicting the classical imperial flying dragon motif is also reminiscent of Chinese coinage, but its style and execution is unusual. 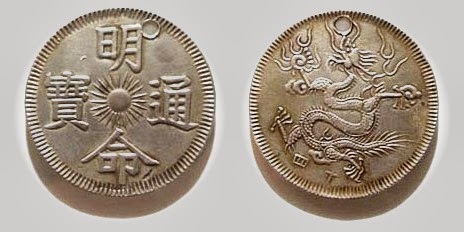 Finally there is a date: 十五, 15th year of this Emperor era… It all looks all so very familiar, but there never was a “Ming Ming” emperor in China. 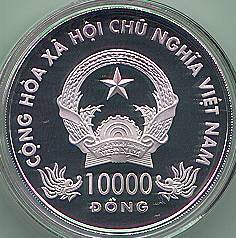 Indeed, this coin is actually an early Vietnamese coin, issued in 1834, the 15th year of the rule of Emperor Minh Mạng! 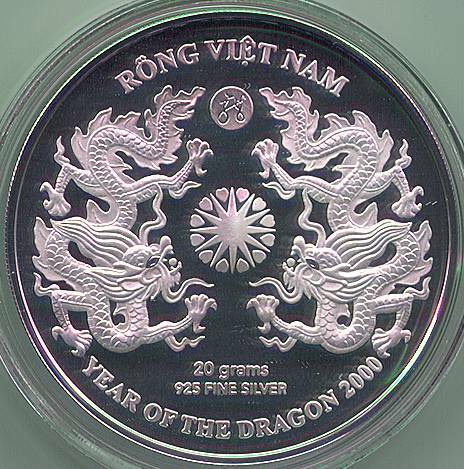 Vietnam, A small silver coin of Vietnamese Emperor Thieu Tri (1841-1847). 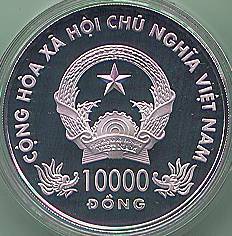 Nguyen Hien To was the son of Emperor Minh Mang and ruled as emperor Thieu Tri for seven years after the death of his Minh Mang. 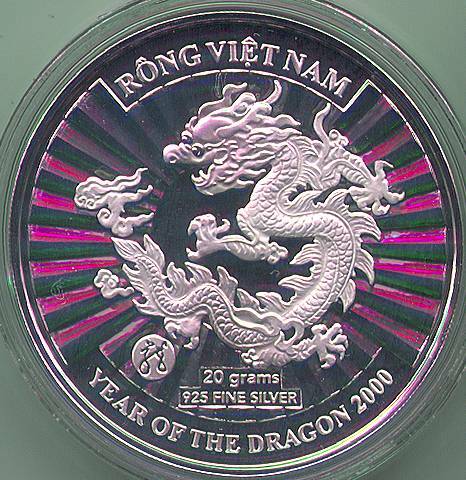 KM#51 2000 10,000 Dong "Sovereign"
KM#52 2000 10,000 Dong "Legendary"
KM#53 2000 10,000 Dong "Mythical"
SilverGoldBull is the most trusted bullion dealer. You will be provided with bargain, real-time rates and they will guarantee that your gold and silver arrives to your door discreetly and fully insured.